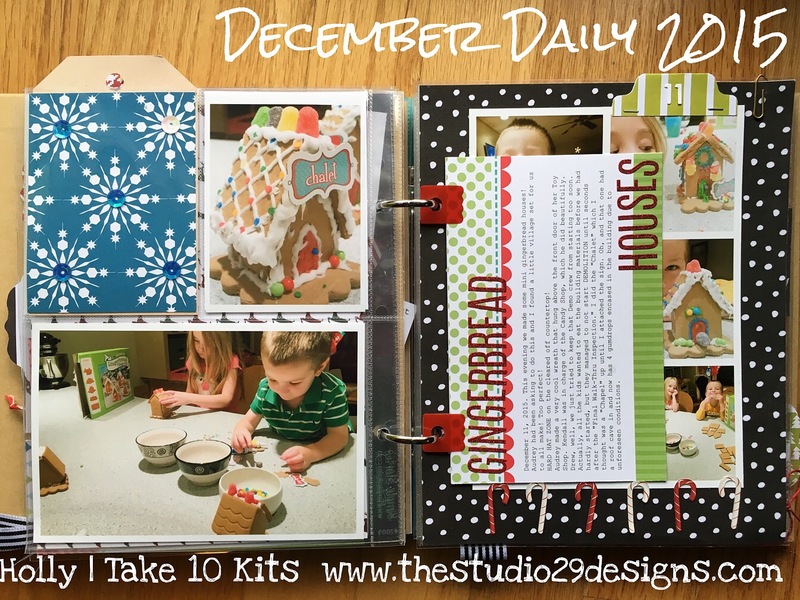 Painted Ladies Journal: More December Daily Work! 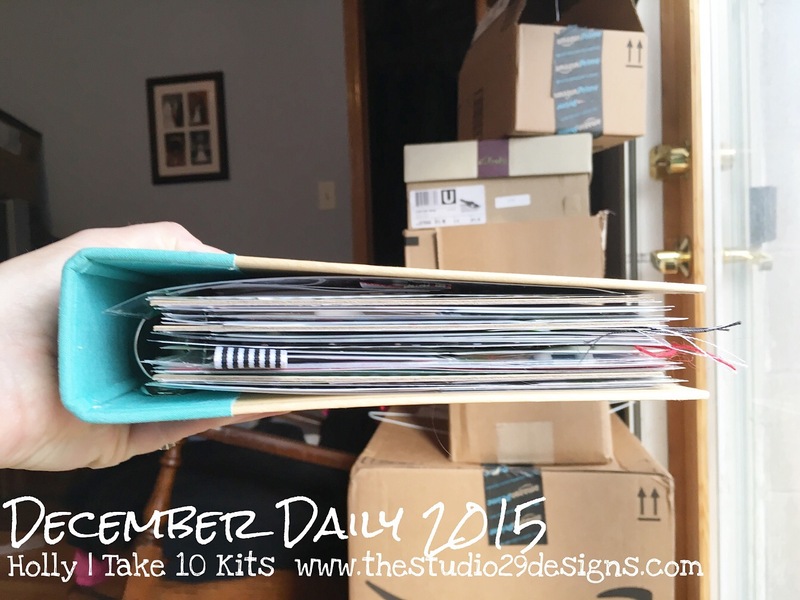 I'm still working on my December Daily and back to share! Memory #8: We created a new tradition for a new generation. 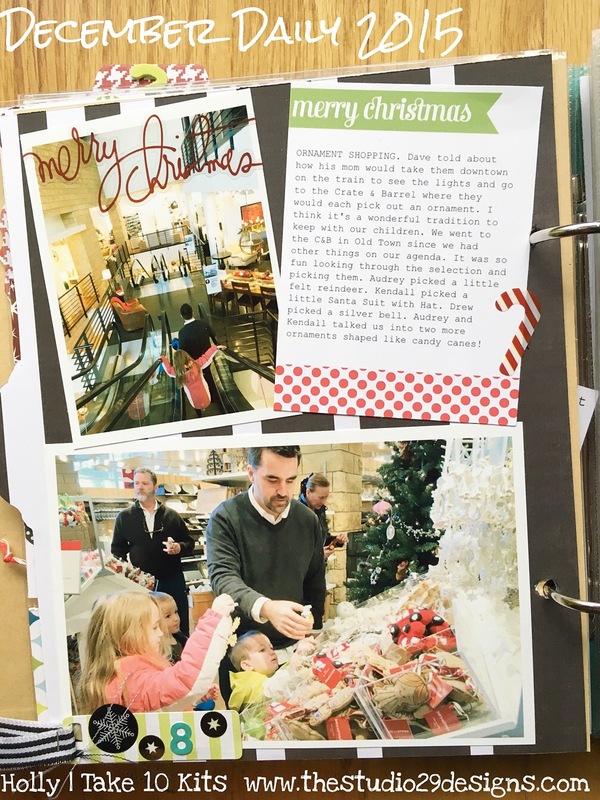 My husband's mom would take her kids downtown to see the lights and go to Crate & Barrel to pick out an ornament! 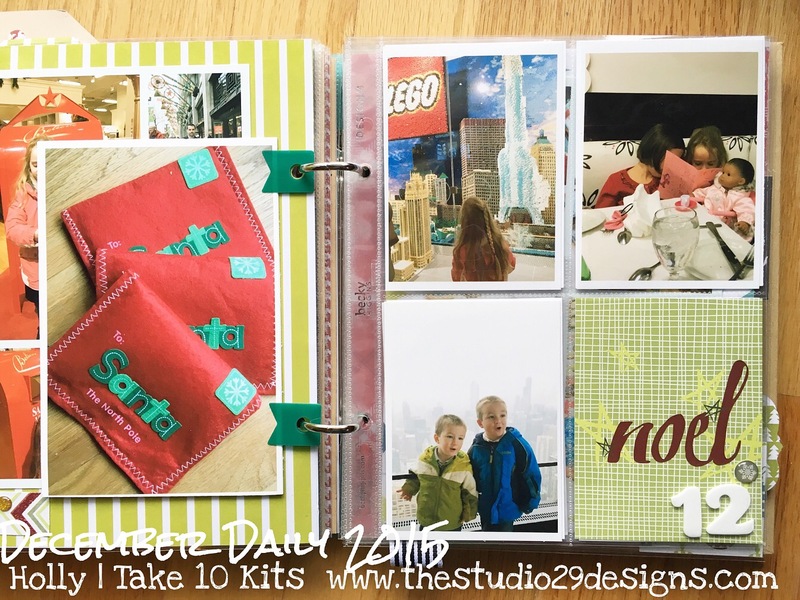 Merry Christmas and Candy Cane stickers from the Heidi Swapp set. 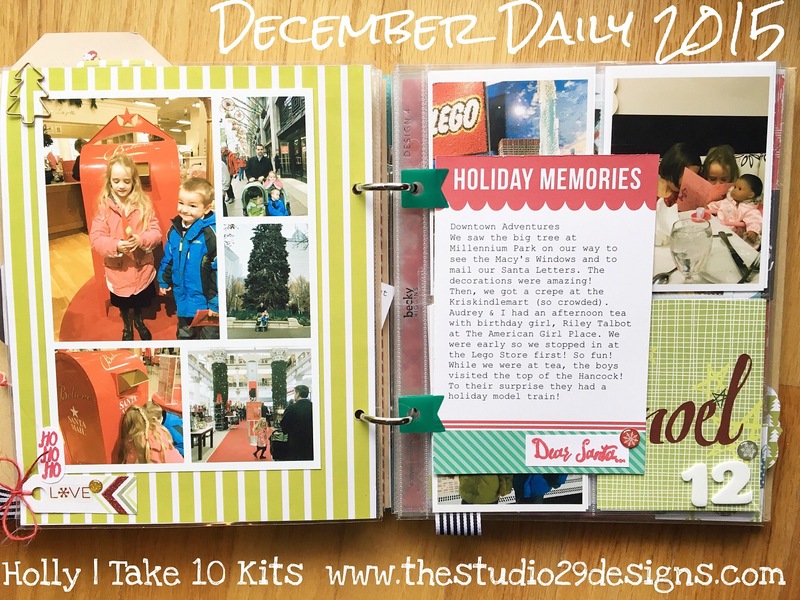 In my last December Daily post, I shared how I've been using Picstitch to get lots more photos into this book. Those shiny tinsel bows are by Shimelle. Don't they just scream Holidays? 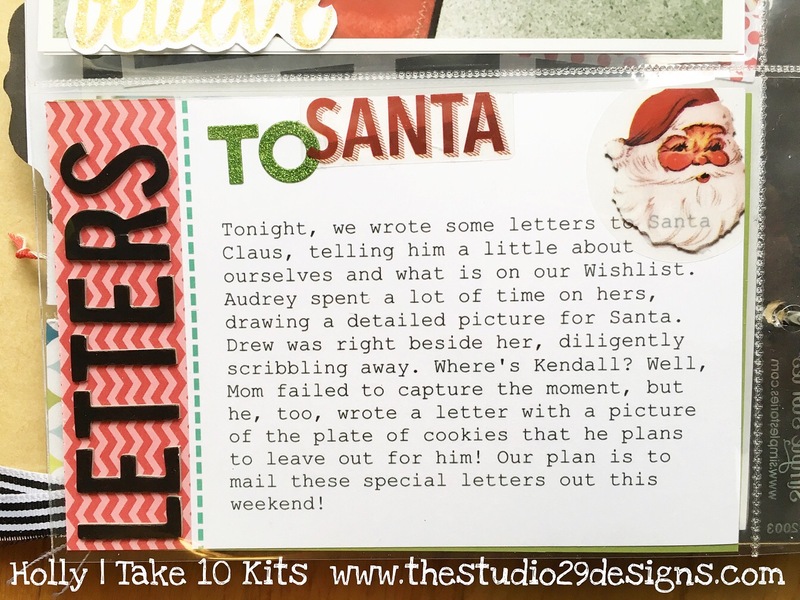 We worked on Letters to Santa this week! 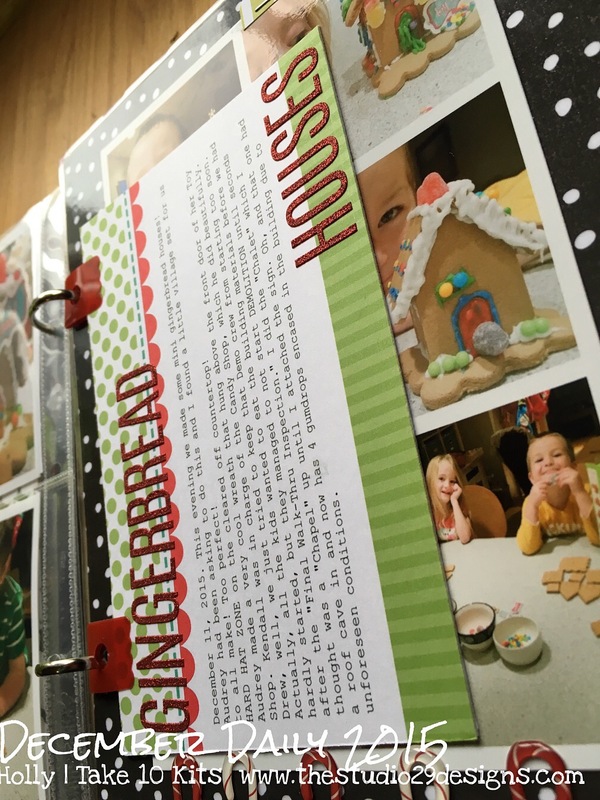 This is a print-out card from the Project Life App using the Merry & Bright set! Stickers from Heidi Swapp Oh What Fun! 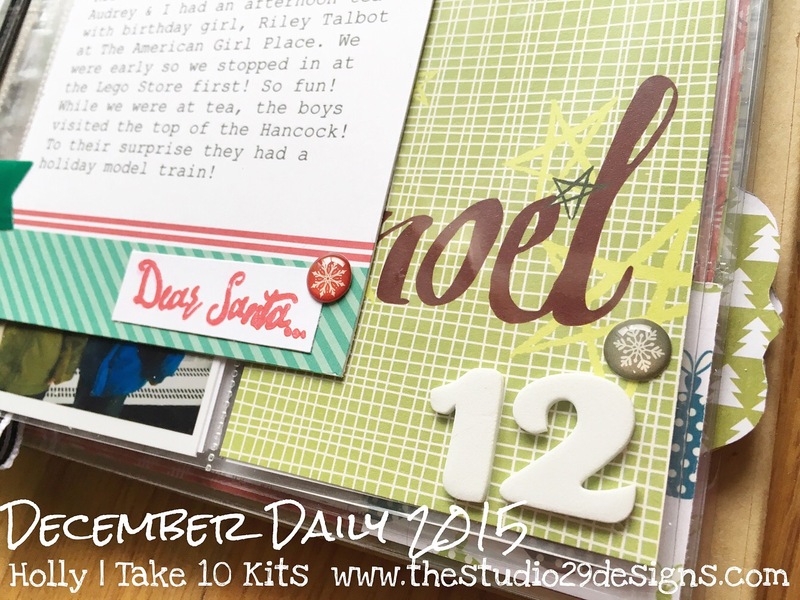 "Dear Santa" and Reindeer stamps from the "Days of December" Stamp Set. 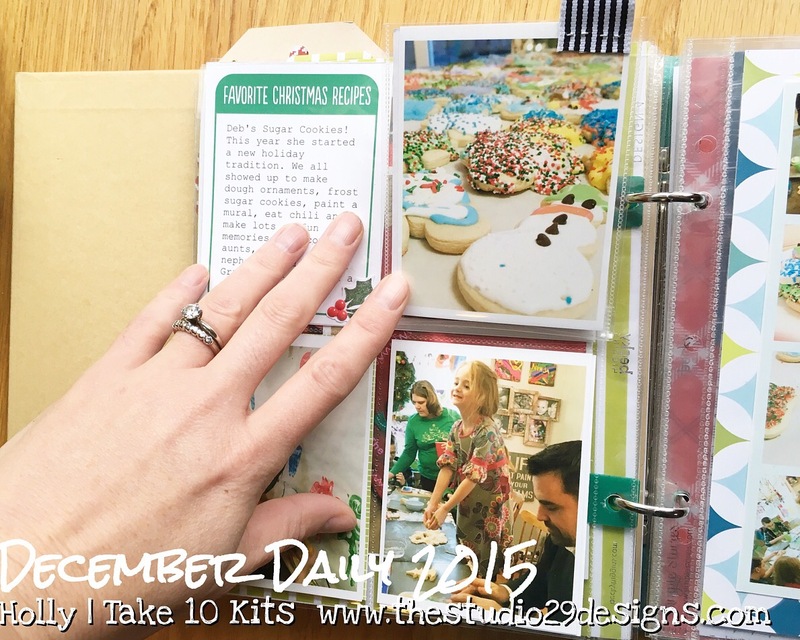 December 11, we made Gingerbread Houses! My oldest had been asking to do this and honestly, I think I was just as excited about this activity!! I found the perfect mini village set, which included four little buildings. They each had their own to decorate! 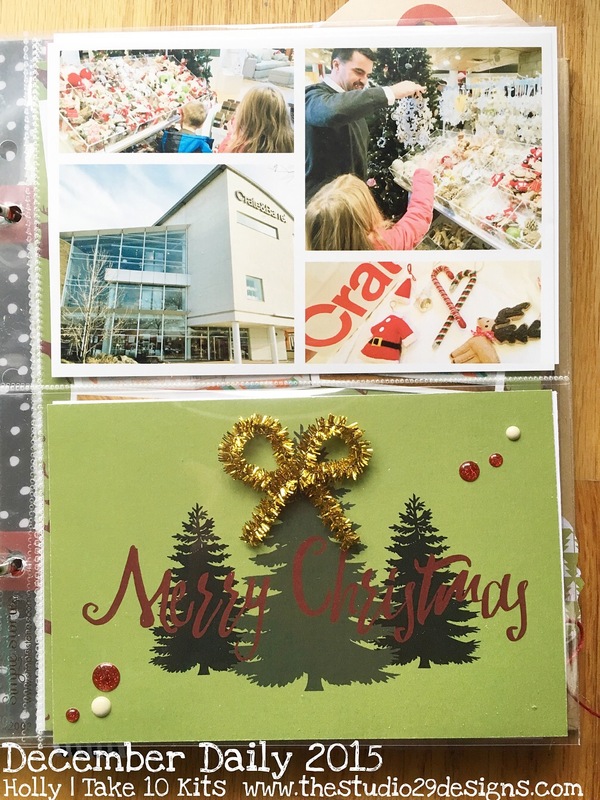 Here's another Merry & Bright Project Life card printed from the App! I added the Heidi Swapp sparkly letter stickers. 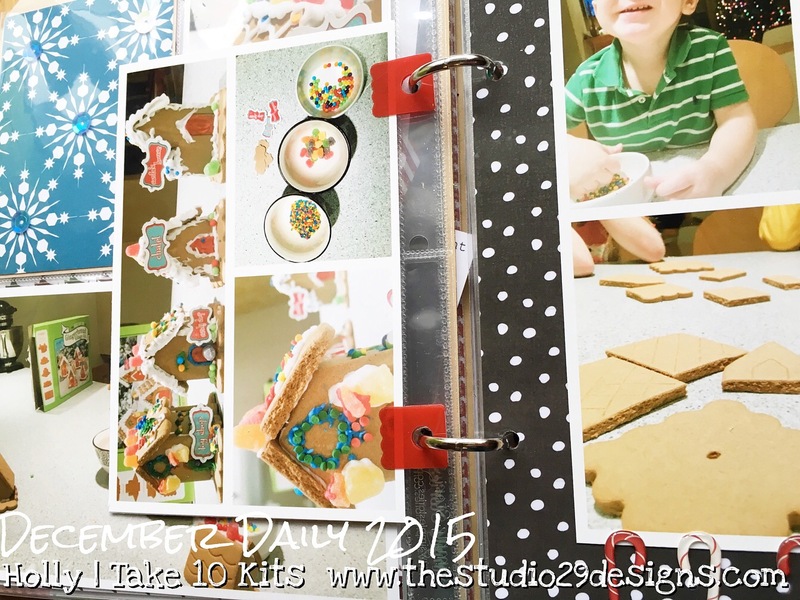 And my new favorite product to use are these little sticky attachers! 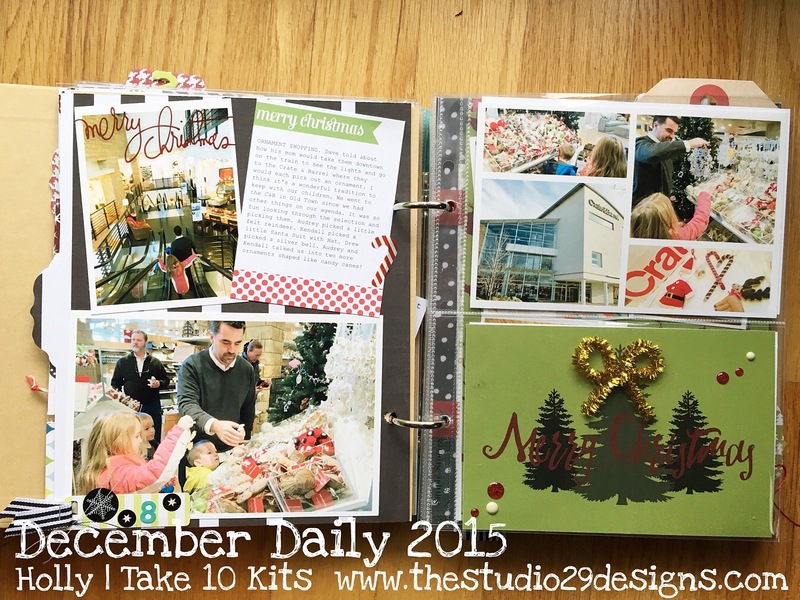 Day 12, we all went downtown to see the big tree, Macy's Holiday Windows, Kriskindlemart and more! Audrey and I had an afternoon tea with friends' at The American Girl Place while the boys went to the Top of the Hancock! Awesome Holiday fun. 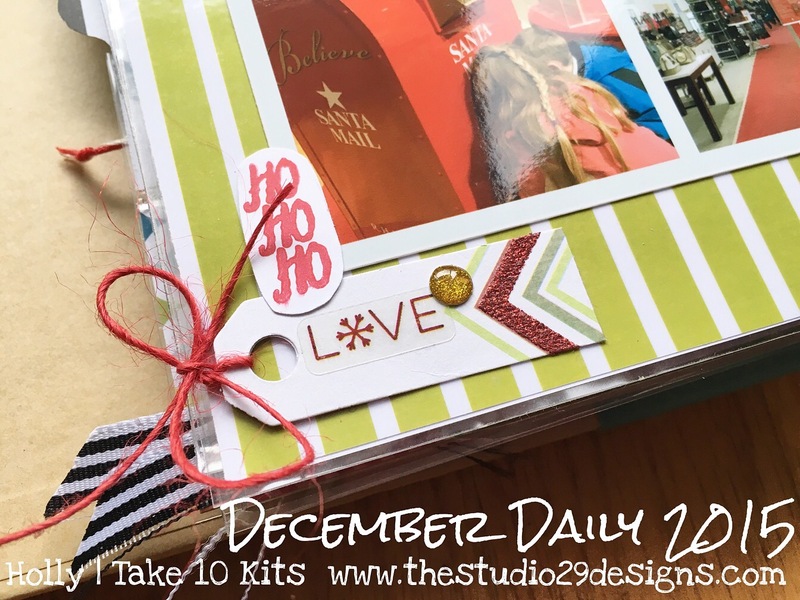 I love adding ribbon or twine to these little tags from the Heidi Swapp collection! 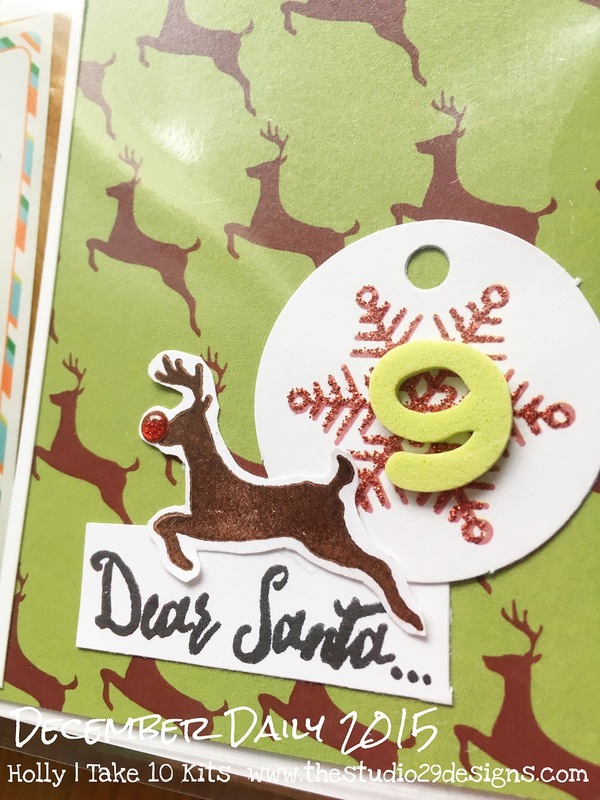 HoHoHo was stamped from the Days of December Stamp (that set has so many good ones!). 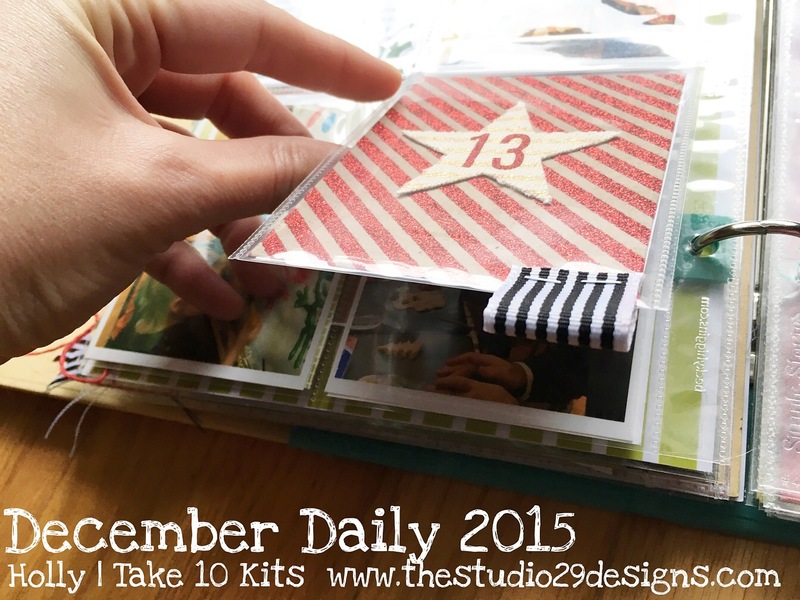 I added "12" to my Noel Take 10 Kits card for today's layout. Done and done! 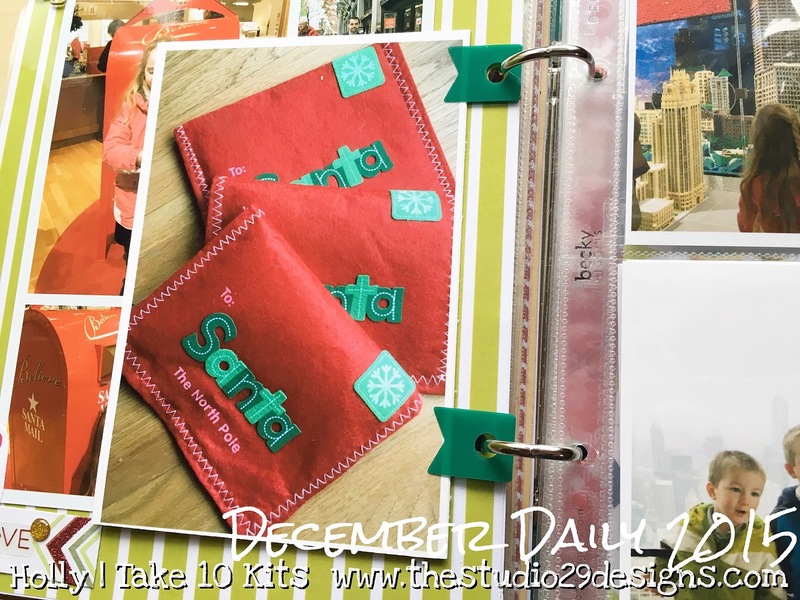 I found those awesome Santa Letter envelopes at the Target Dollar Spot. Couldn't resist. We mailed them at Macy's this day. Day 13 was a fabulous family tradition with all the cousins! We decorated cookies, made dough ornaments and painted a large mural!! 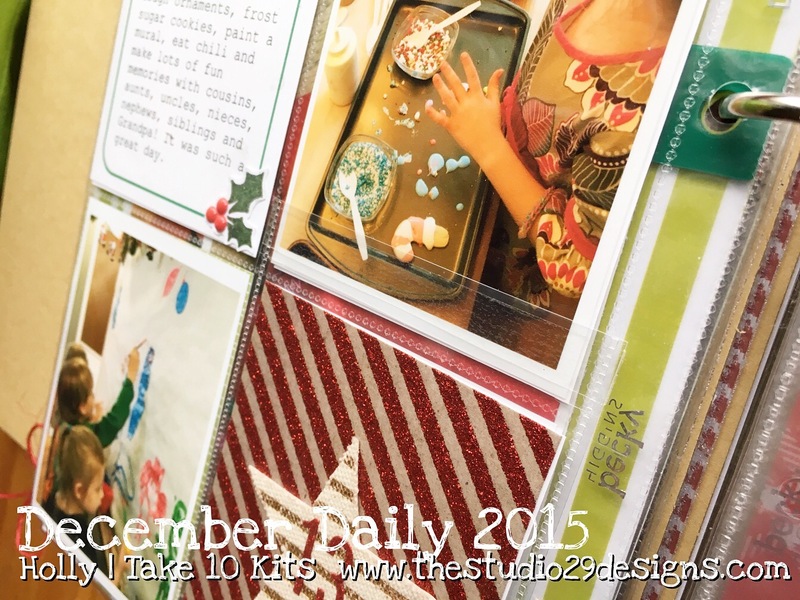 I added a Flip to one of the 3x4 spots to get some extra photos in from this fun-filled day. I stapled a bit of ribbon to the flip up insert to make a little tab. Wow, my book is getting fat and we aren't done yet!! Ahem, lots of Amazon boxes full of gifts to be wrapped in the background. 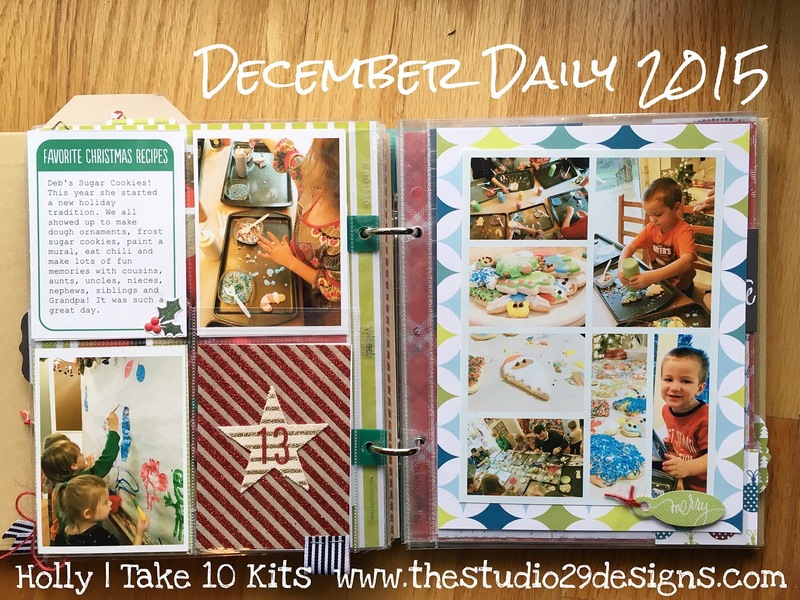 I hope you are having fun with December Daily. And keeping up with other things (like wrapping presents). Happy Holidays! Like us on FB. Follow us on IG!